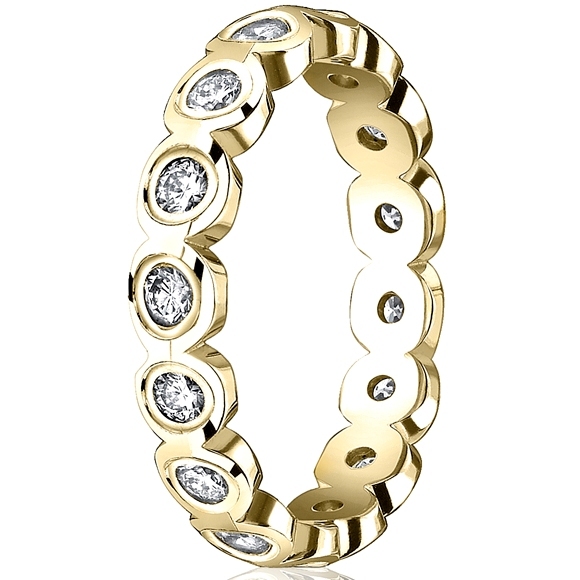 SCALLOP SHAPE 4MM HIGH POLISH ETERNITY BAND WITH 16 ROUND CUT DIAMONDS. 0.96ct. DIAMOND WEIGHT.